QUILLBY APRIL 15: Next time I wear the skirt, I need to wear my platform sandals. 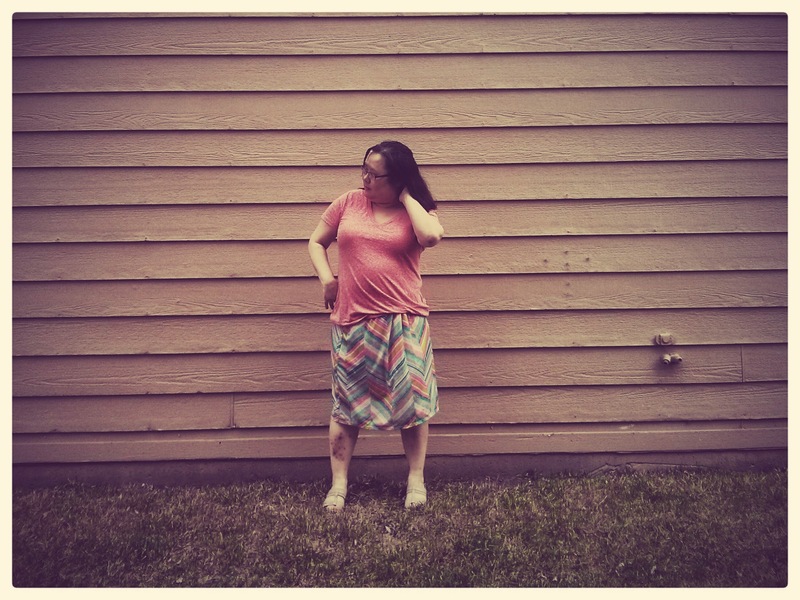 I love the skirt — it’s roomy and comfortable. I’m pleasantly surprised to discover I have TWO shirts that match the skirt!